​Sheaf House books are now available from Amazon through Sheaf House Direct! Click on the link to browse our titles. While Americas’ desperate fight for independence hangs in the balance, Elizabeth Howard and Jonathan Carleton are driven thousands of miles and a vast ocean apart. Will the refining fires of war sunder their lives forever? The latest from E. E. Kennedy and Jen Stephens! 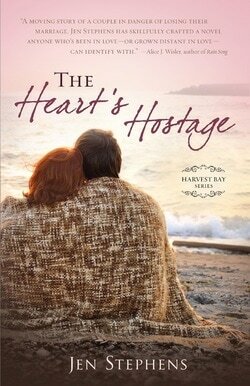 After 20 years of marriage, can Ian and Jane return to the love they once knew, or will they continue to be The Heart’s Hostage? ​of a dead body in the basement put Chez Prentice out of business?